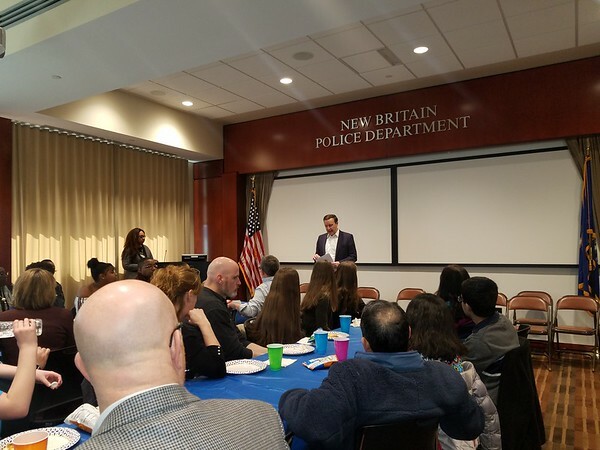 NEW BRITAIN - U.S. Sen. Chris Murphy treated the winners of his third annual Martin Luther King, Jr. Day Essay Challenge to a pizza party Sunday at the New Britain Police Department. 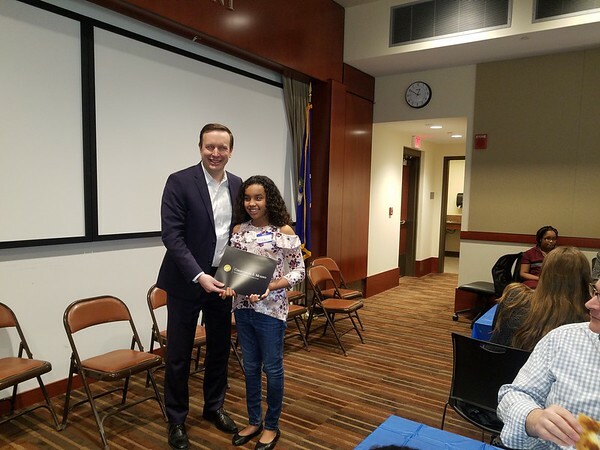 Last month, the senator announced the 15 elementary, middle and high school students from across Connecticut who had been selected as winners. The contest asked students to reflect on King’s dream and their own aspirations. Murphy said that this year, there were more essay submissions than any year before. Murphy told the students and his families that they should feel proud their essays were selected. The senator also told them that he was inspired by their essays. Some of the topics winning students wrote about in their essays were the importance of diversity, staying true to onesself, the danger of judging other people and the value of persistence. “I hope that you continue to talk about these things - that you just don’t write them here, but that you talk to your friends, family about these things that made you write these fantastic essays,” Murphy said. Murphy handed a certificate to all 15 winners, recognizing their intelligence, enthusiasm and diligent efforts to express their opinions through the essays. 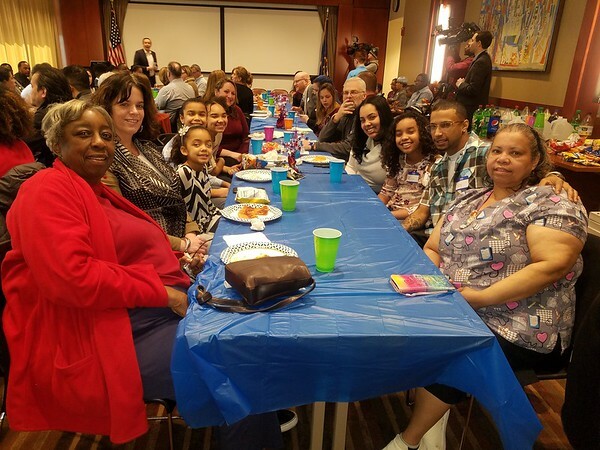 “I feel happy and thankful,” she said. She said she had hoped that she would be a winner and was “amazed” when she learned her essay had actually been selected. Alfred Ochoa, parent of essay winner Natalie Ochoa of Norwalk, said he was proud his daughter’s essay had been selected. Posted in New Britain Herald, General News, New Britain on Sunday, 10 February 2019 21:24. Updated: Sunday, 10 February 2019 21:26.